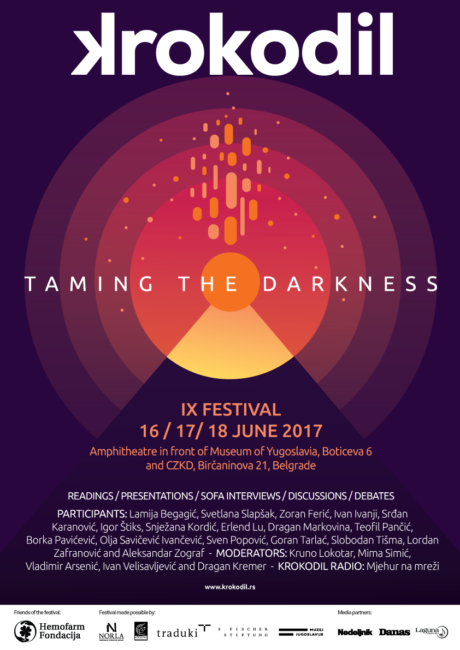 Ninth edition of KROKODIL Festival, under the title Taming the Darkness, will be held on 16th, 17th and 18th June 2017. 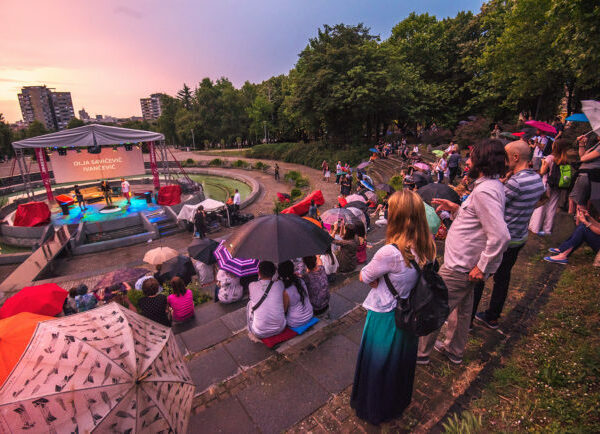 The evening program of the festival on 16th and 17th June will traditionally be held in the amphitheater in front of the Museum of Yugoslavia (Botićeva 6), while the daily-debate programs are scheduled for 17th and 18th June at Center for Cultural Decontamination (Birčaninova 21). 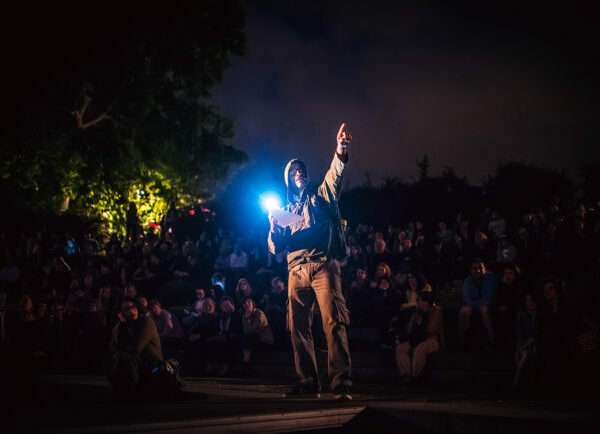 At this year’s festival, the audience will have the opportunity to see famous Norwegian writer Erlend Loe, a favorite of thelocal literary audience. Thanks to the recognizable ironic literary style, Erlend Loe has in a very short period become a cult Norwegian writer, as well as one of the most recognizable European authors today, with his books being translated to more than twenty languages. From Prague, for the first sofa-interview of the KROKODIL Festival, we will host Lordan Zafranović, one of the most controversial and provocative film directors of the famous Prague school. 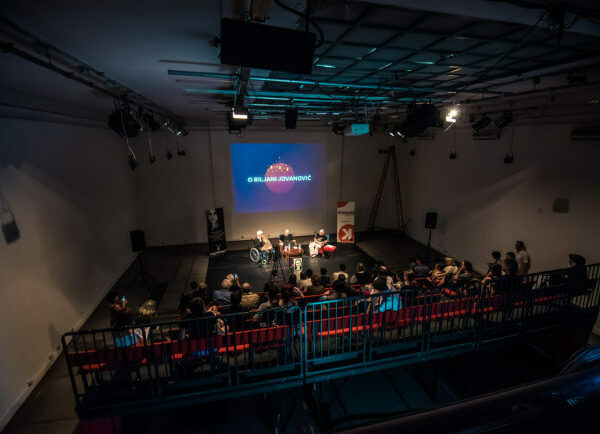 On the second festival night, also as part of the sofa-interview, we will talk to another film director whose work is closely connected to the Prague film school, Srđan Karanović, about this work on film and television. At this year’s festival KROKODIL, we will present the writer and peace activist Svetlana Slapšak, winner of this year’s Vital award for her novel Ravnoteža. Recognized novelist and dramatist Slobodan Šnajder will be reading from his latest novel Doba mjedi, a great saga about the fate of Volksdeutsch community in the former Yugoslavia, for whom in 2016 he received the most important regionalliterary award Meša Selimović. Ivan Ivanji, who spent more than twenty years as a translator for German to Josip Broz Tito, will read from his latest novelMoj lepi život u paklu, in which he reflects on his life that began almost nine decades ago in then Bečkerek and the experience he had as a sixteen year old Jewish boy from the death camp Buchenwald. The novel Pjevač u noći, a sophisticated love story, at the same time a serious critique of all our fascisms and fear of freedom, is written by award winning prose author and poet Olja Savičević Ivančević, another participant of this year’s festival KROKODIL. This novel is recently published in Serbia. The author will present this work as well as her poetic collection Mamasafari. Lamija Begagić is one of the most renowned young authors from Bosnia and Herzegovina. At this year’s festival KROKODIL she will present her first novel U zoni, a story about the life of a professional sportswoman who ends her career at the age of 35 and the new world she tries to create around her and in her. Zoran Ferić will be reading from this novel Na osami pored mora that deals with maturation and eroticism of the adulthood of Yugoslav hedonistic socialism. Feric’s latest novel in Serbia is published by the publishing house Booka. As part of this year’s festival, we will also present the book Ogledala Lune, about one of the most significant bands of early 80s, which is finally giving this music band its well deserved position. Apart from Slobodan Tišma, front-man of the band and singer, writer and NIN Award winner, its authors Goran Tarlać, Predrag Buca Popović and Saša Rakezić will also talkabout the book. As part of the interesting lecture, Aleksandar Zograf will take us through the world of small discoveries (Mala otkrića) which is the title of his latest collection of short, poetic and documentary comics he regularly draws in the form of comic art columns for the magazine Vreme. We will take a look back at the work of Biljana Jovanović, one of the pioneers of feminist Yugoslav literature of the seventies and her recently republished cult novels Pada Avala and Psi i ostali. KROKODIL’s residence program for writers has beeen active since 2012 and so far has hosted 55 writers from eighteen countries. Through a conversation with our current guest on the residency, a young Croatian author Sven Popović, we will focus on the importance of this program for the continuous cultural exchange within the region but also the whole Europe. Besides the sofa-interviews, performances, readings, as well as musical and acting performances, festival KROKODIL will again this year organize various debates during which we will deal with the most current socio-political topics from the perspective of arts and culture. The debate program will be held on 17th and 18th June at Center for Cultural Decontamination in Belgrade. For the third consecutive year, the festival has a humanitarian character as well. 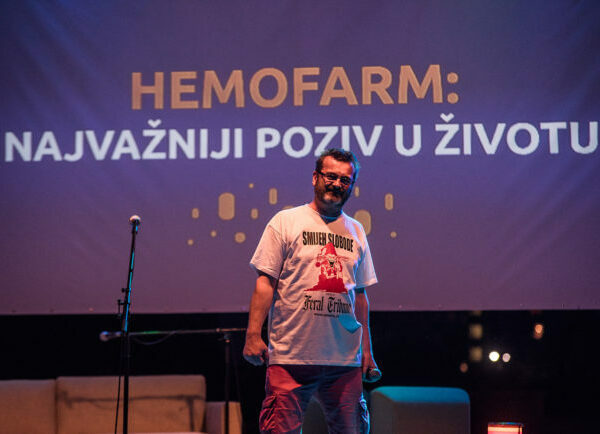 Friend of this year’s KROKODIL isHemofarm foundation, with whom we teamed up in 2016 regarding the project PRODUŽI ŽIVOT, with the goal of raising awareness of the public of the importance of transplantation and donation of organs. This year, through interesting programs we will draw attention to the necessity of organ donation and invite festival-goers to sign donor cards. Program moderators: Kruno Lokotar, Mima Simić, Vladimir Arsenić, Ivan Velisavljević, Igor Štiks and Dragan Kremer. 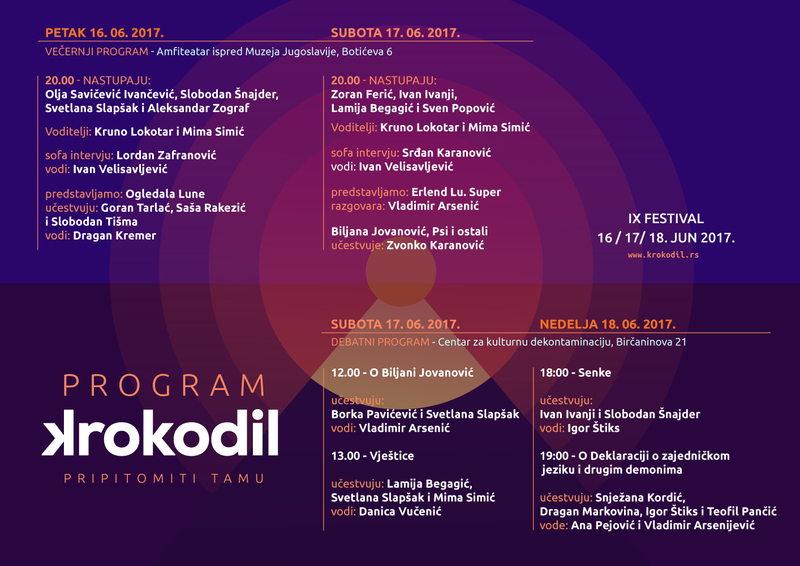 Festival KROKODIL 2017 is supported by: Hemofarm fondacija, književna mreža Traduki, S. Fischer Stiftung, forumZFD and NORLA. Media partners: Danas, Nedeljnik and Radio Laguna.